Binary Music return to SPRUKE 2015 with a range of ukuleles, print music and uke accessories. For over 25 years they have been helping customers get the most from their music purchases, whether it is a ukulele, hi-tech gear or other musical instruments online and at their store in Cleveland. Ukulele brands on offer at SPRUKE will include Luna, Fender, Tiki, Mojo, Kala and Makai. Binary Music run weekly ukulele classes for all levels, helping students of all ages improve their playing skills. 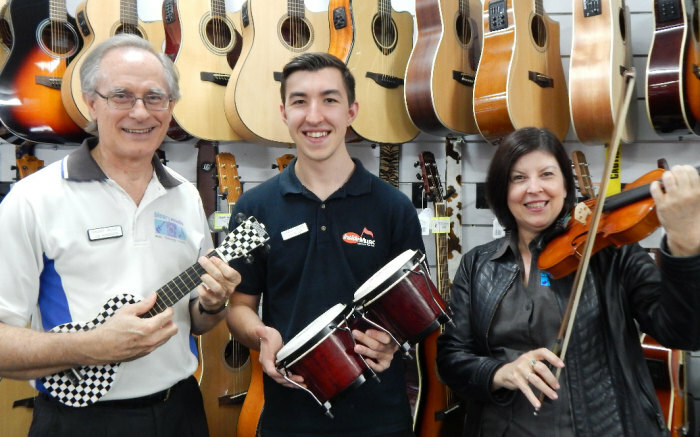 Binary Music also support the daytime Dukes of Uke, and the night time Redland City Ukuleles clubs, who are performing on the SPRUKE Stage Saturday 3 October 3:20 pm – 4:30 pm. Download the SPRUKE program with festival map. Find out more about Dukes of Uke and Redland City Ukuleles clubs.